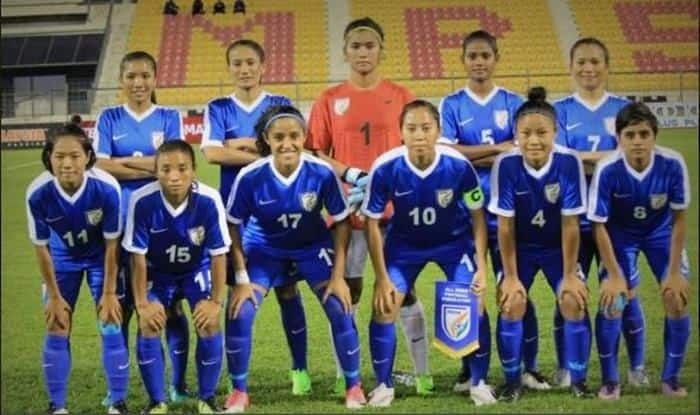 Indian women's football team suffered a 1-2 defeat at the hands of Nepal in their second game of the ongoing Hero Gold Cup in Bhubaneshwar at the Kalinga Stadium. Indian women’s football team suffered a 1-2 defeat at the hands of Nepal in their second game of the ongoing Hero Gold Cup in Bhubaneshwar at the Kalinga Stadium on Monday. Nepal’s Sabitra Bhandari struck two early goals to breeze past the Indian eves. Although Ratanbala Devi of India hit the target from a free-kick, it couldn’t deter the away team from gathering all three points to stay afloat in the four-nation championship. Next, India will face Myanmar in the final game of the group stage at the same venue on February 13.